WASHINGTON, D.C., October 13, 2016 — The American Institute of Physics (AIP) and the American Physical Society (APS) announced today, on behalf of the Heineman Foundation for Research, Educational, Charitable, and Scientific Purposes, that Carl M. Bender of Washington University in St. Louis is the recipient of the 2017 Dannie Heineman Prize for Mathematical Physics, which is awarded annually to honor significant contributions to the field. 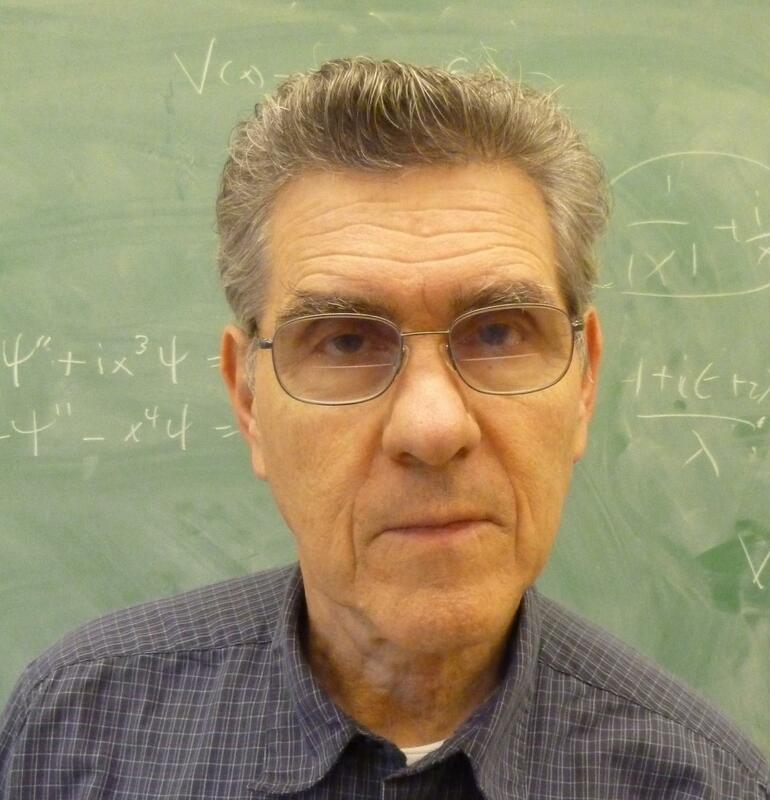 In recognizing Bender, the two organizations cited him: "For developing techniques of classical applied mathematics including asymptotics, perturbation theory, nonperturbative methods, complex-variable theory, differential equations, and combinatorics to solve important difficult problems in quantum theory." "Many physicists will be familiar with Dr. Bender's classic book, written with S.A. Orszag, 'Advanced Mathematical Methods for Scientists and Engineers,'" said AIP CEO Robert G.W. Brown. "Dr. Bender's own research contributions to the field have provided scientists with the mathematical tools to grapple with complex problems in fluid dynamics, and the interactions of fundamental particles like electrons and photons." Over his 40-year career Bender has made multiple discoveries and developed numerous fundamental techniques for solving problems in theoretical physics. Much of his work has set the standard for approaching problems in quantum mechanics and quantum field theory, such as his findings using the anharmonic oscillator to elucidate the nature of perturbation theory, a key method for solving complex quantum systems. "The theme of my work has been to use theoretical physics as a way of generating really interesting problems that require a lot of mathematics to solve," said Bender, who exhibited excitement and wonder while discussing his work. "The amazing thing is that mathematics has anything to do with the real world at all. I mean, why doesn't the real world do whatever it wants to do? Why does it have to obey actual mathematical equations? I have no idea." "That to me is truly incredible," he added. "Astonishing." When asked about his methods for solving some of the most complex problems in physics, he answered, "That's art." He acknowledged this may be a surprising answer to some, but said it reflects the creativity required at the cutting edge of scientific discovery to find solutions to problems never before solved. Bender credits his creative abilities to what he's learned from his mentors and colleagues, including Steven Orszag of Yale University and Gerrald Guralnik of Brown University. In fact, both T.T. Wu, his advisor in practice, and Sidney Coleman, his official thesis advisor, are previous recipients of the Heineman prize. The book Bender co-authored with Orszag, Advanced Mathematical Methods for Scientists and Engineers, has been in print since 1978 and served as a reference in countless graduate-level physics courses. "Steve Orszag [was] a very important colleague of mine," said Bender. "We worked together for years, and I learned many, many, many things from [him]." "I've had several teachers who sort of took my hand and showed me how to do some of these approximations and one of them is my thesis advisor," said Bender. "T.T. Wu is a fantastic thesis advisor. He can sort of pick his way through a very complicated problem and identify which are the approximations that help you to solve a problem without destroying the effect that you're looking for, that you're trying to explain." Bender also credits much of his success to his wife, Jessica, whom he asks to review and edit his written work. He has a deep appreciation for what he describes as the absolute importance of effective communication in science. "She is a very important component of my work even though she doesn't do science at all," Bender said. "She's sort of my secret agent in the background. She never seems to get credit for any of it but she is absolutely wonderful." The Heineman Prize is named after Dannie N. Heineman, an engineer, business executive, and philanthropic sponsor of the sciences. The prize was established in 1959 by the Heineman Foundation for Research, Education, Charitable and Scientific Purposes, Inc. The Prize will be presented by AIP and APS on behalf of the Heineman Foundation at the APS April 2017 Meeting in Washington, DC. A special Ceremonial Session will be held at the meeting where Bender will receive the $10,000 prize. The American Physical Society is a non-profit membership organization working to advance and diffuse the knowledge of physics through its outstanding research journals, scientific meetings, and education, outreach, advocacy and international activities. APS represents over 53,000 members, including physicists in academia, national laboratories and industry in the United States and throughout the world. Society offices are located in College Park, MD (Headquarters), Ridge, NY, and Washington, DC.